Cottage small, very small balcony two chair supplied but no room to put both chairs on the balcony . Bed very hard and tiny shower and water taking time to become hot. Staff lovely and helpful. 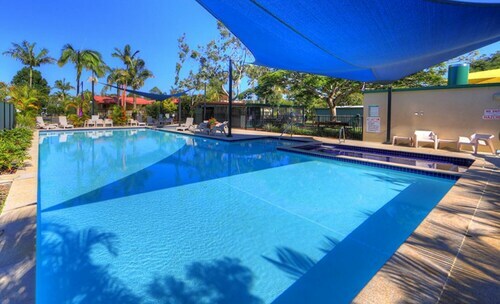 I think a bit over priced for this accommodation ,but when I booked only accommodation left in Iluka . This place had everything we needed. Was close to the river and beach. Was very clean. 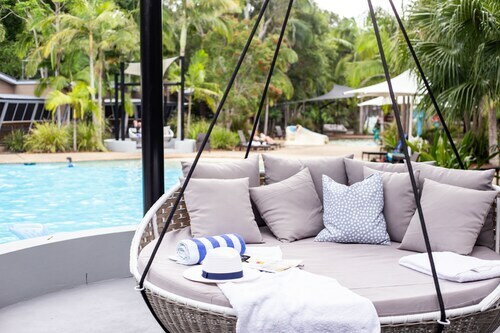 Close your eyes and picture deep blue…oops, sorry—you can’t keep reading about your epic trip to Yamba if you close your eyes! Now, where were we? Oh yes, imagine you’re walking along deep blue water with golden sand squishing between your toes. 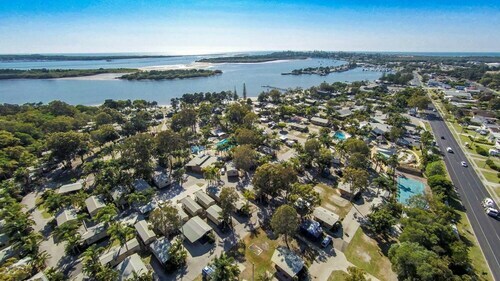 Yamba camping and caravan parks are the perfect way to spend time in a laidback waterfront destination. Everywhere you turn, the landscape is lush and travellers of all ages can find fun, food, and new friends. Powered sites: Plug in at Anchorage Holiday Park or Reflections Holiday Park at nearby Evans Head. Crank up the music, turn on the air conditioning, and charge up all your gear without worrying about battery packs. 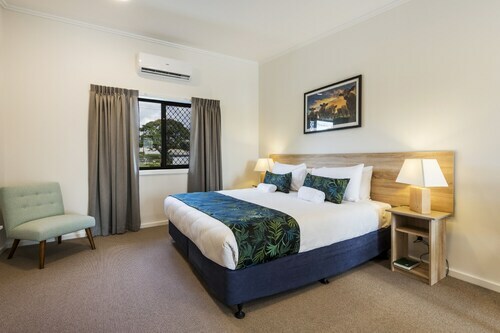 Pets allowed: Bring the doggo along when you stay at Clarence Head Caravan Park, in the island village of Iluka. Camp kitchens: Who wants to end the day eating cold beans straight from the can? Not you! 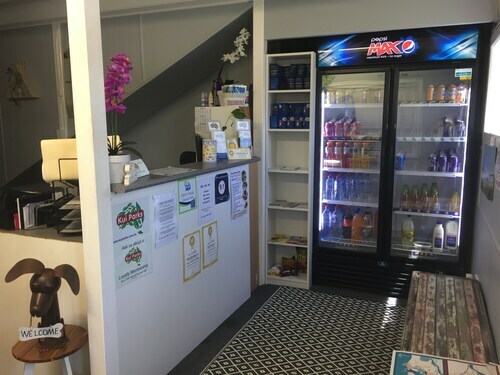 Make some new friends (and amazing grub) in the kitchen at Yamba Waters Holiday Park. 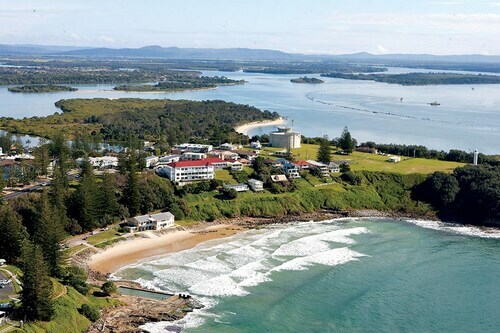 We couldn’t get this far without mentioning Yamba Main Beach, but you already knew about that, didn’t you? Get out on the water—literally on top of it—by booking a kayak or canoe. Pro Tip: Your social feed will love anything snapped from a kayak. Looking for a great fishing spot? 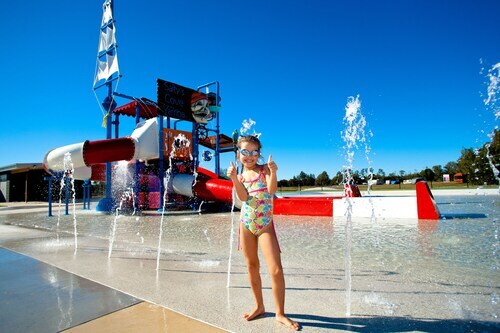 There are caravan parks and camp sites located near the Clarence River, like BIG4 Saltwater at Yamba Holiday Park. Your bags are probably already packed, aren’t they? You’re ready to relax amidst gorgeous scenery. Stop reading and book a coastal adventure in Yamba with Wotif! Great facilities but apparently they don’t spray for mosquitoes and midges which were rife.